I have been rooting through my jewellery and curating my collection. Selling things I don’t use or have any particular attachment to, and just keeping those I use and love. This ring is one of my favourites. It is striking but at the same time does not look like much. 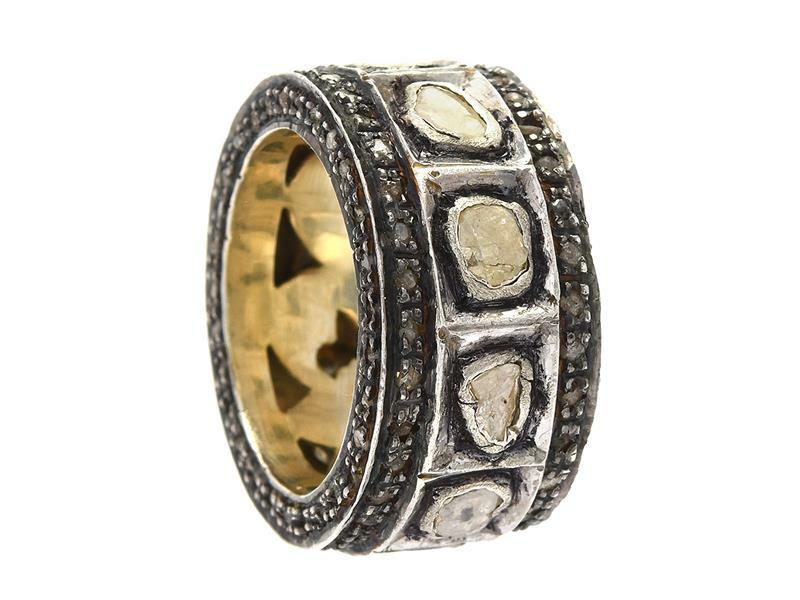 It is made of oxidised sterling silver and has 10 large and 118 smaller diamond chips in it. The inside is faintly gilded. It is very striking and low key and has an industrial look about it. I love it, so it is staying in my collection. Wow, that is a stunning ring!